We brought together some of the most influential people in design for a special preview of our AW18 collection. 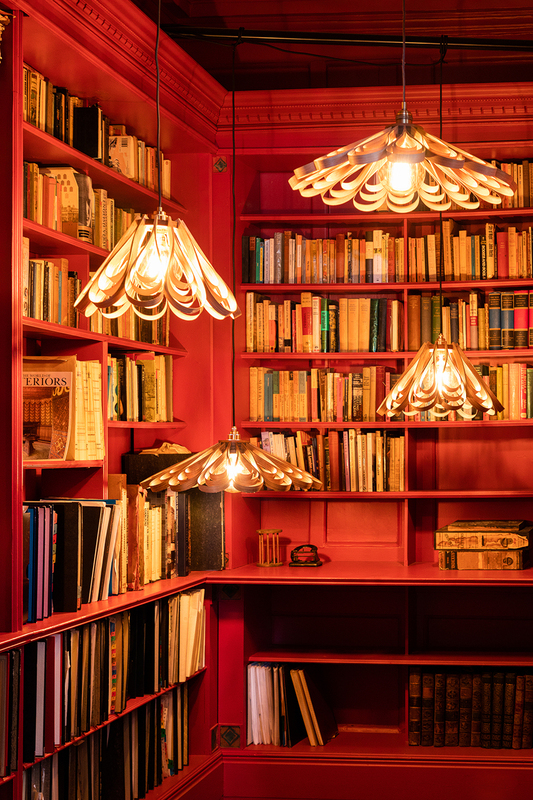 We transformed a three-story Georgian town house on Dean Street into the ultimate Heal’s home. 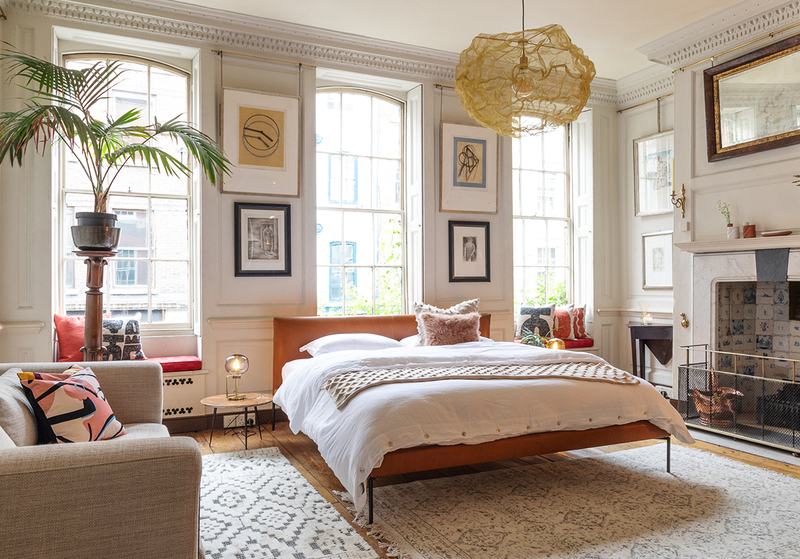 Its high ceilings and natural light provided the perfect backdrop for our striking new collection. 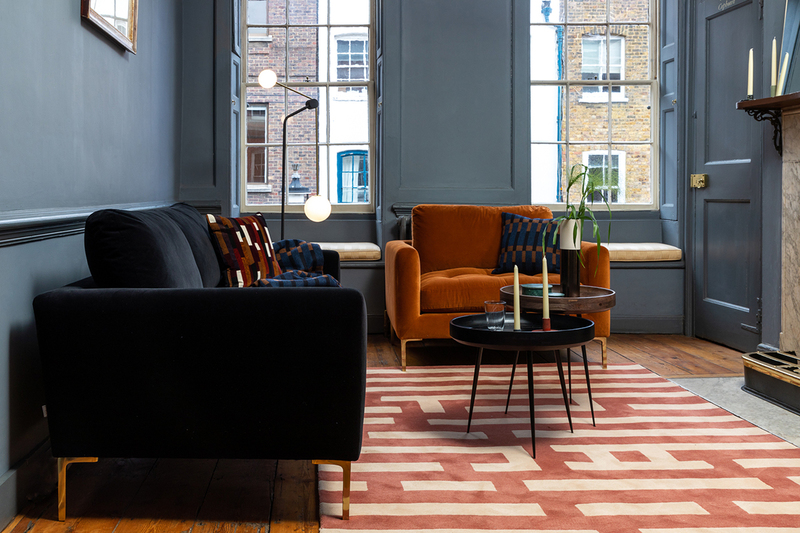 Design is at the heart of Heal’s AW18, continuing our long tradition of supporting British design talent. For the upcoming season, rich, opulent and luxurious designs and textures create our ‘Midnight Elegance’ collection. Bringing a sense of scale and drama, the collection focuses on solid materials, matte textures and sculptural designs. Soft velvets sit alongside brass detailing and smooth finishes combine with charred textures. In contrast, the bohemian feel of our ‘Global Fusion’ collection features an earthy colour palette with a mix of terracotta tones and refined neutrals. With an emphasis on hand-craftsmanship, attention to detail can be seen in the joins, finishes and architectural shapes of each design. Take a look at just a few of the highlights below. 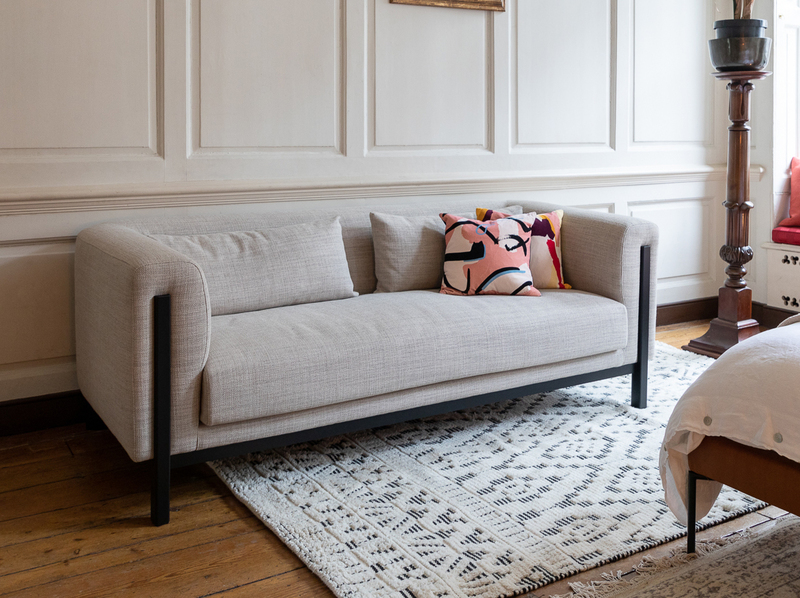 Our new Eton sofa was designed for maximum comfort – upholstered in the softest velvet with feather filled back cushions, this relaxed sofa is the epitome of . The legs are available in a choice of brass plated or blackened steel finish for a contemporary look. The Eton loveseat has been designed for any interior spaces requiring a relaxed, easy chair with a minimal footprint yet generous seat. 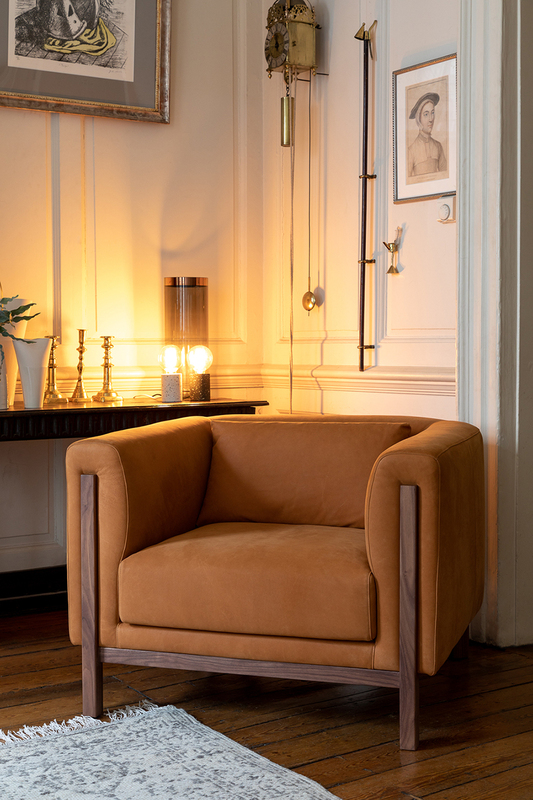 Magnus Long made his debut for Heal’s with the stunning Massimo armchair and sofa. Magnus is a The designs draw their inspiration from the Bauhaus style but small design details give it a contemporary twist. The exposed solid wood frame is available in walnut or stained ash. Our Matera bed is a beautiful statement piece that features the same beautiful design elements as our bestselling Matera sofa. Upholstered in a buttery Daino leather, its thin metal legs and clean lines make it a future classic. We styled it with the beautiful Heat pendant designed by Johanna Forsberg for Northern. Each piece is handmade using brass mesh which is reminiscent of a “glowing could of fire” once turned on. Winner of the iconic Design Award in 2016, the Clay table by Desalto was designed by prominent Milan designer, Marc Krusin. This gravity-defying dining table is hand finished with lava from Mount Etna which is applied with a pallet knife, making each piece completely unique. 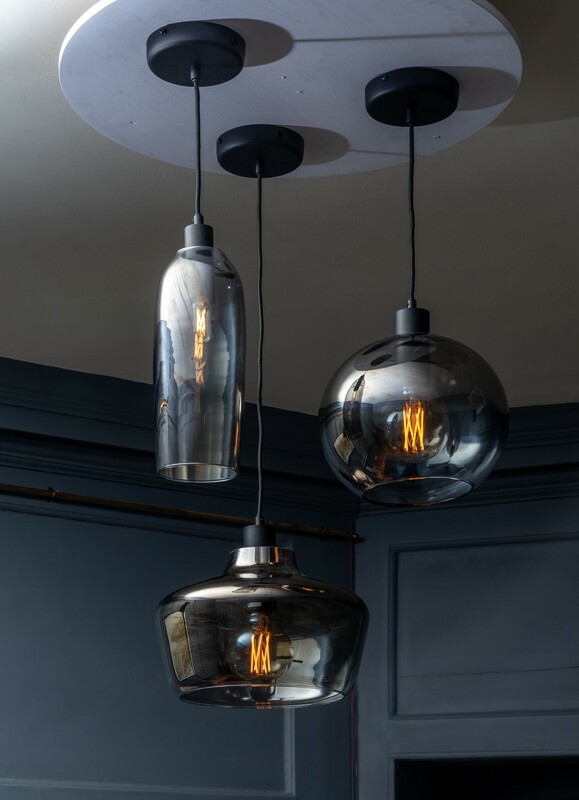 Available in three shapes – long, globe and wide – the Kyoto range is a collection of electroplated glass pendants made in Poland with handblown glass with a contemporary mirrored finish. 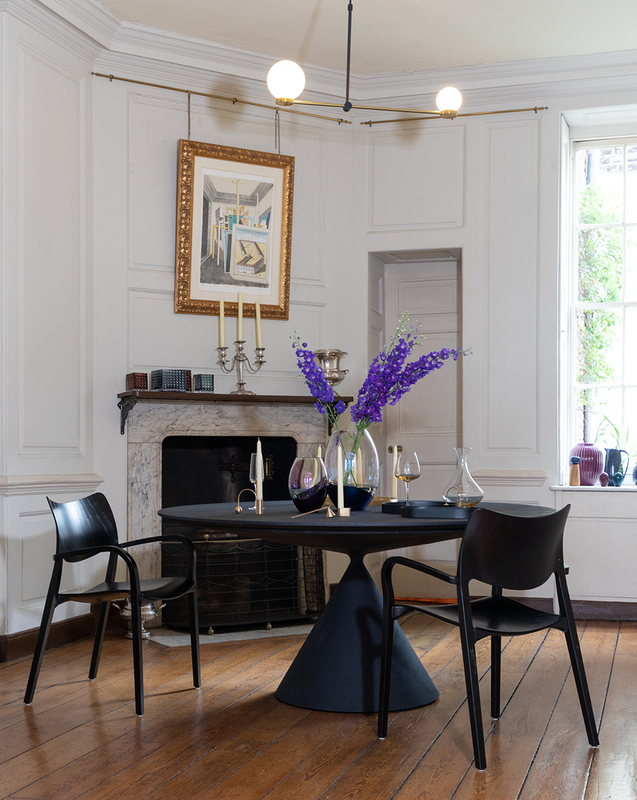 The percet fitting to emulate our Midnight Elegnce theme, a Kyoto pendant would work well above a bedside table or in multiples over a dining table or kitchen island. Having worked with Tom Raffield for a number of years, we decided to expand our collaboration even further this season. For this exclusive range, Tom Raffield was briefed to capture the beauty of steam bent wood through the creation of shadows and patterns. Acting as a down-lighter through the petal design, the Quill champions Tom’s well-known steam bending techniques, whilst bringing the natural beauty of wood to life. Many more new designs will be joining our collection later this year including new lighting, home accessories and furniture. Be sure to follow us on Instagram to be the first to hear about our new product launches coming soon. This entry was posted in Behind The Design, Happening At Heal's. Bookmark the permalink.